Star Trek: Attack Wing Wave 2 Preview: the Koranak! Welcome back to the continuing sneak peak of the expansion packs for Wave 2 of Star Trek: Attack Wing. This week we will be looking into the upcoming heavy hitter for the Dominion: the Koranak. 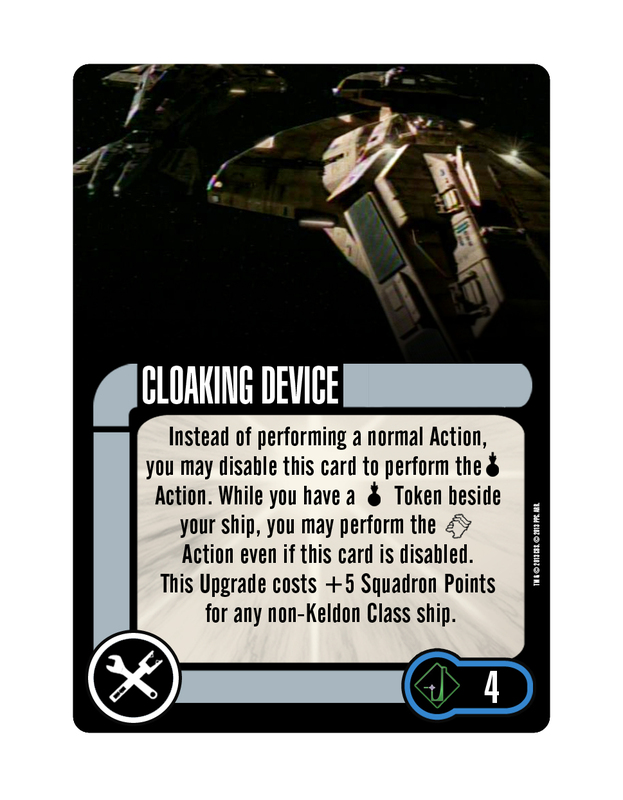 The named version of the Keldon Class starship comes in at 26 points with a special ability allowing you to spend a Scan token to target two different ships with its Primary Weapon at -2 attack dice each. 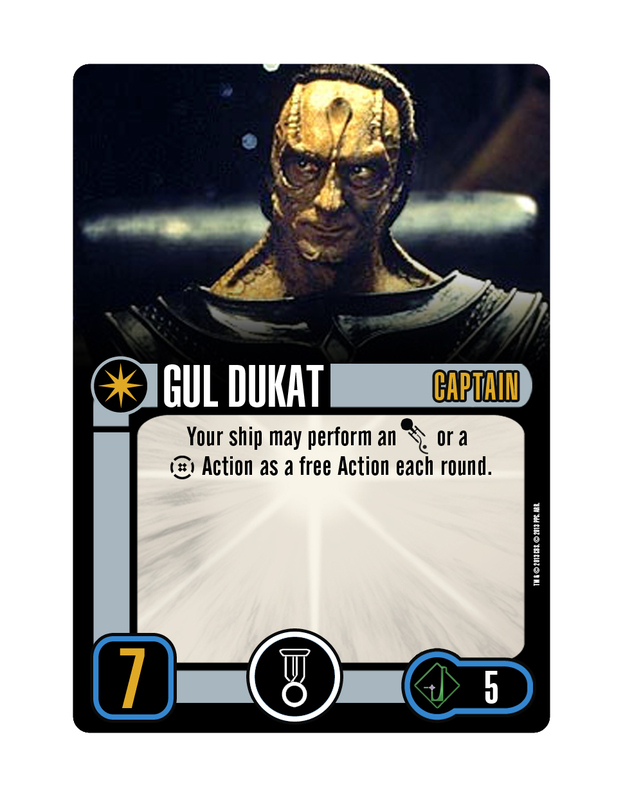 With Gul Dukat as captain, this is not such a bad option since he can back up the effectiveness of the ship by allowing a player to perform an Evasive Maneuver or Battle Station action as a free action. 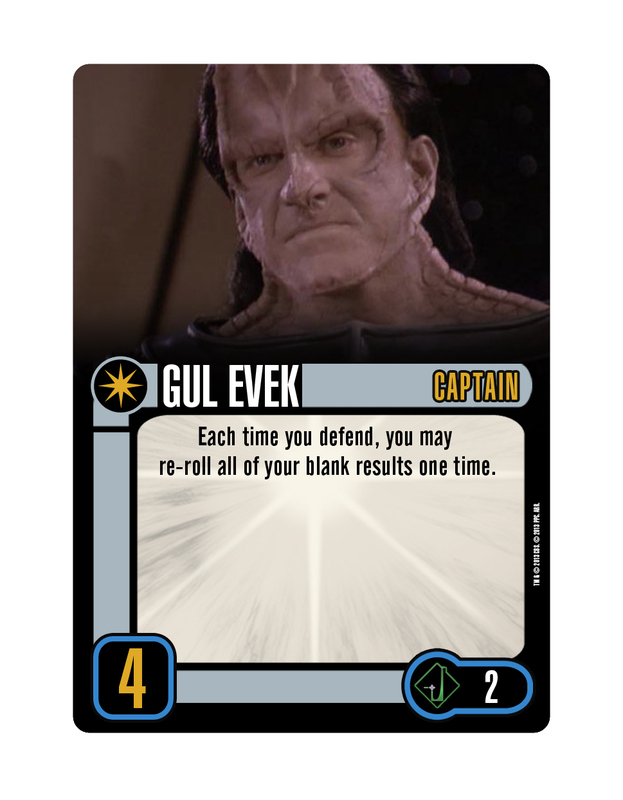 Gul Evek is also a good choice as captain as he allows a player to re-roll all of their blank results one time when defending. 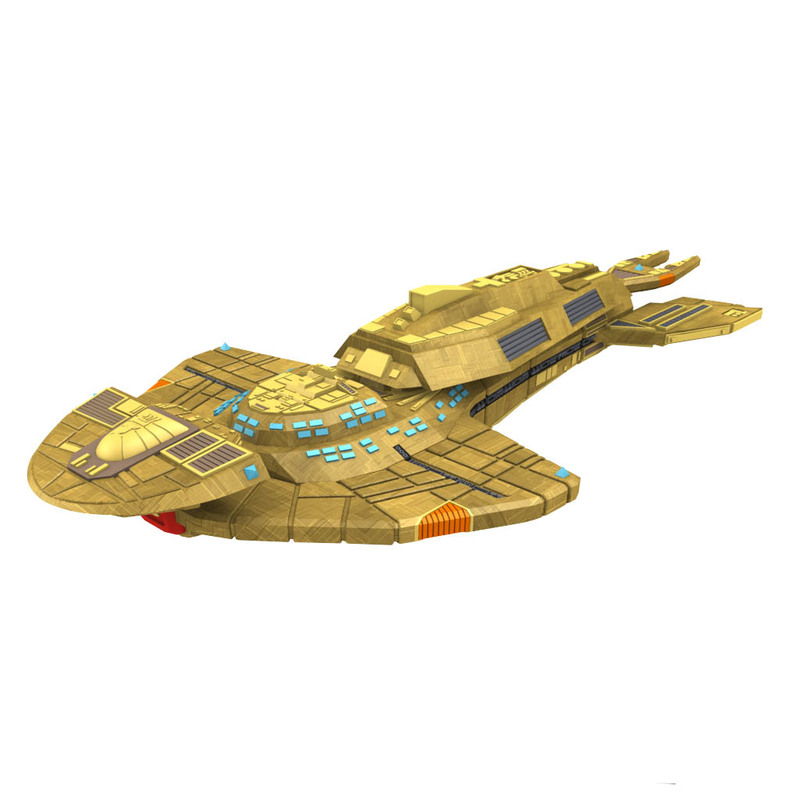 1) The Koranak is the only ship in the game so far with a Primary Weapon of 5 and a 180˚ firing arc. 2) The Koranak is also the only ship in the game so far with a Primary Weapon of 5 and a Battle Stations Action in its Action Bar (although other ships can add Battle Stations through the use of Captains / Upgrades). 3) The Koranak is the only ship so far that uses the “4 Bank” Maneuver Template. The Koranak expansion also has several great upgrades for the Dominion player’s arsenal. 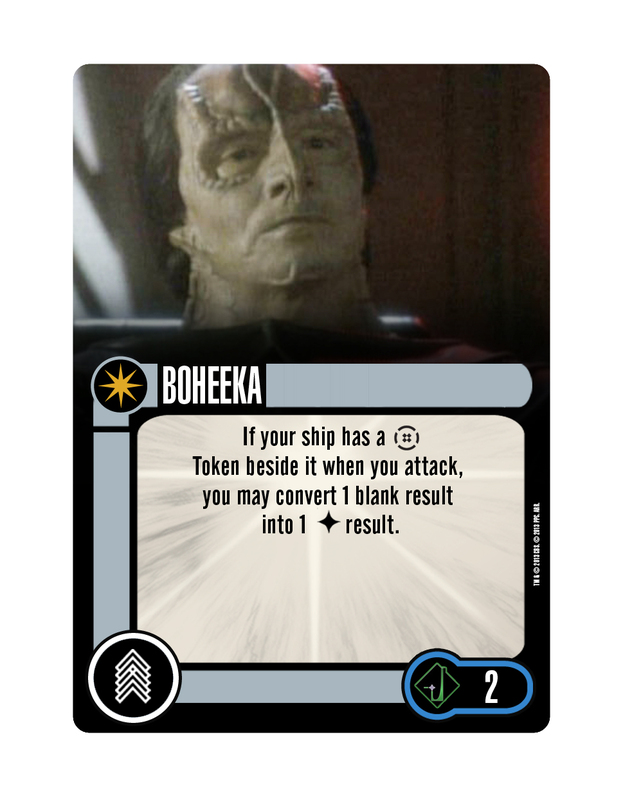 Boheeka, the crew upgrade for the set, allows a player to convert one blank result into a hit result if the ship has a Battle Station token beside it… so he is going to see quite a bit of play alongside Gul Dukat. 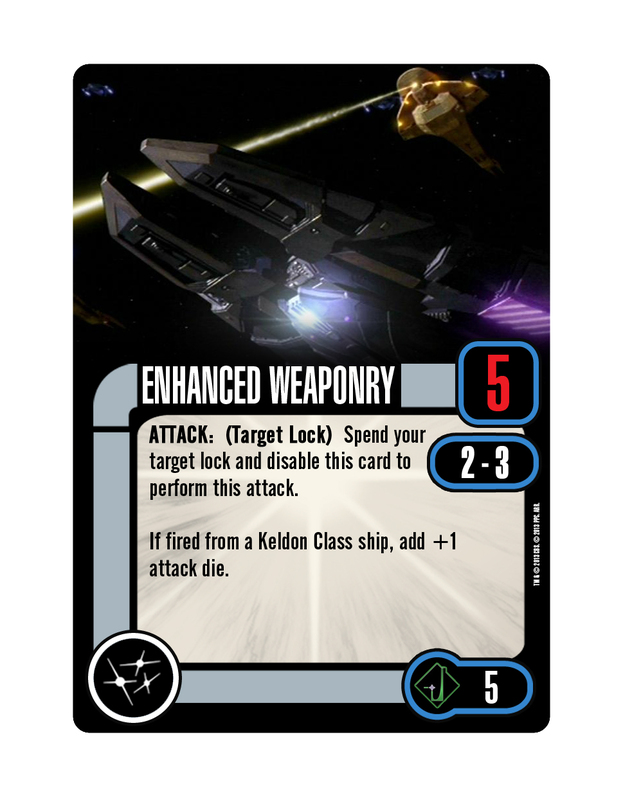 The five attack dice Enhanced Weaponry is a great Weapon Upgrade to use as well since you add one attack die if fired from a Keldon Class ship. 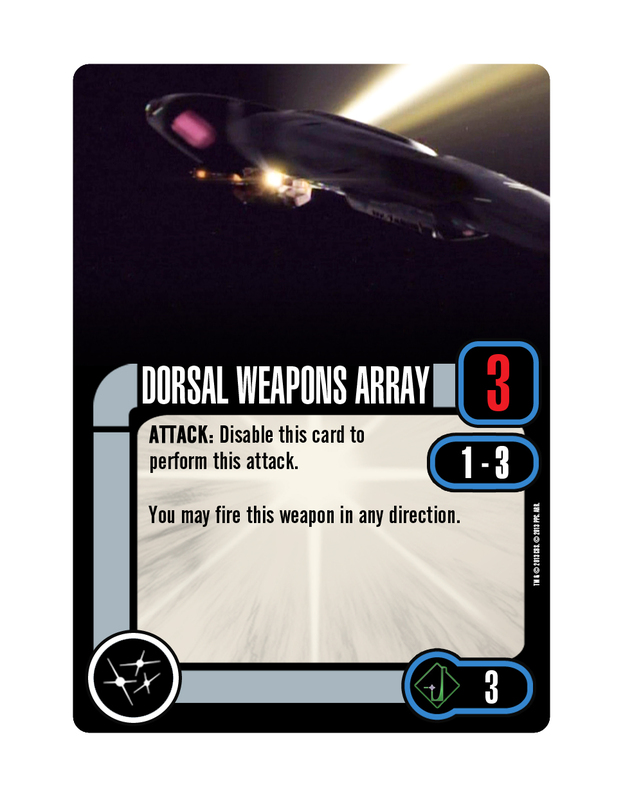 The Dorsal Weapons Array will also provide additional functionality as it will allow the Dominion player the ability to add a 3 attack dice, 360 degree attack to any of their ships. Unlike the 360 degree firing ability of the U.S.S. Enterprise-D, this upgrade can actually be used at range 1-3! The synergy continues with the Tech Upgrades: Tetryon Emissions and Cloaking Device. Similar to the Cloaking Device from the U.S.S. Defiant expansion, the Dominion version comes in as a tech upgrade which must be disabled to use. It allows the player to perform the Sensor Echo action even when the card is disabled. 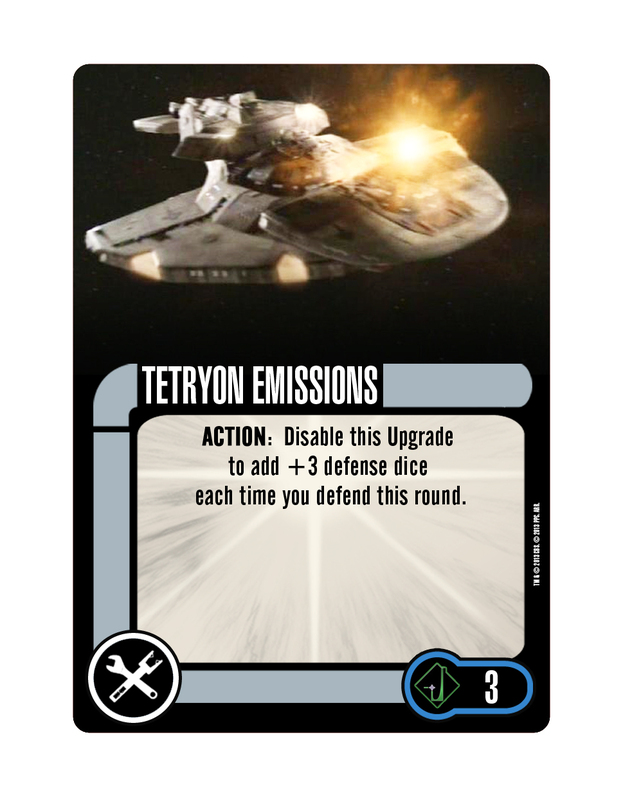 Defensive capabilities seem to be the flavor of the day for Tech as the Tetryon Emissions card can be disabled as an action to add +3 defense dice each time a ship has to defend that round. If those are not enough to keep a ship in the battle, players can also look to the Elite Talent upgrade: Captured Intelligence. 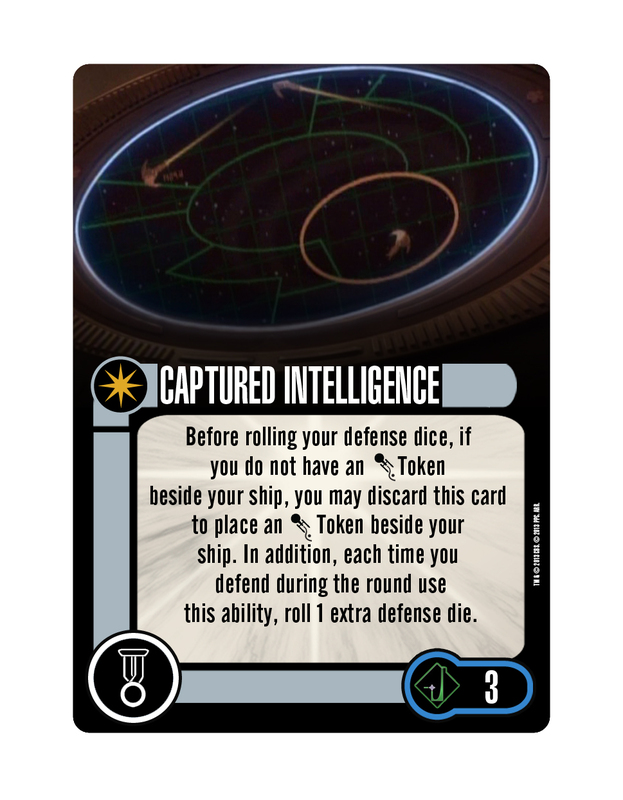 This card can be discarded and the ship gets the benefit of placing an Evasive Maneuver token beside the ship (as long as it does not have one already) and also adding one defense die every time the ship has to defend that round. 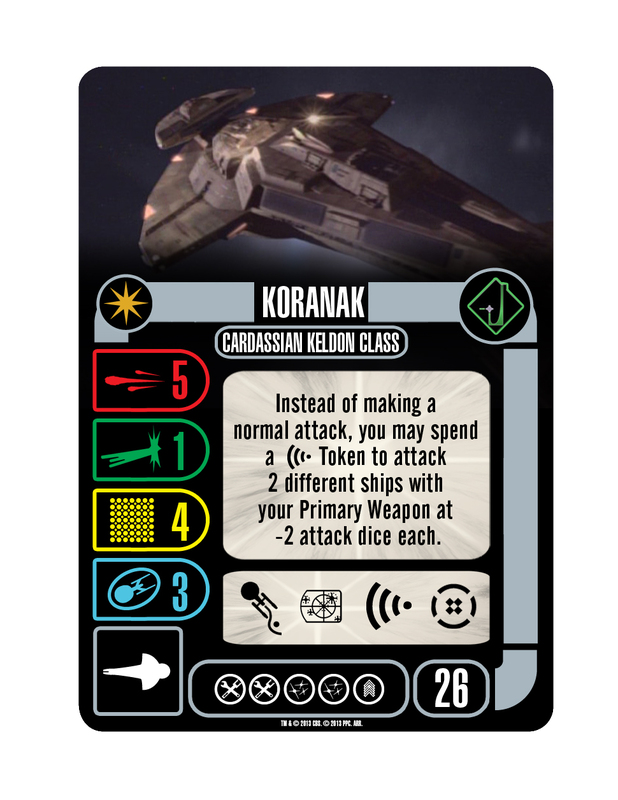 As players can see, the Koranak expansion pack is a prime example of a ship where card combos can make a fleet— each of the Captains can enhance the effectiveness of the ship and adding specific upgrades depending on which Captain you choose will make the ship even more potent. The Dominon player will need an extremely effective fleet if they hope to defeat the Federation player while tackling the Protect The Orias System mission included in the expansion. Speaking of missions, make sure you come back for a little bit of cat and mouse fun as we explore the R.I.S. Vo expansion pack and see what those devious Romulans are up to.